I found the coolest, most FUN and cute study and homework desks for kids! You won’t believe these cool study desks for kids folks! I came upon then by accident today, while doing some research on cool furniture for kids! These are absolutely perfect to motivate your child to actually sit down and study! Because they are amazingly COOL! Check out this awesome SHARK study desk for sale! I almost fell out of my chair when I saw it and I immediately decided to create this page today to show them off here and help you pick one for your child! Can you imagine having this in your boy’s bedroom? He is going to be looking forward to do his homework every day! Cute Train Shape Writing Desk for Small Kids! 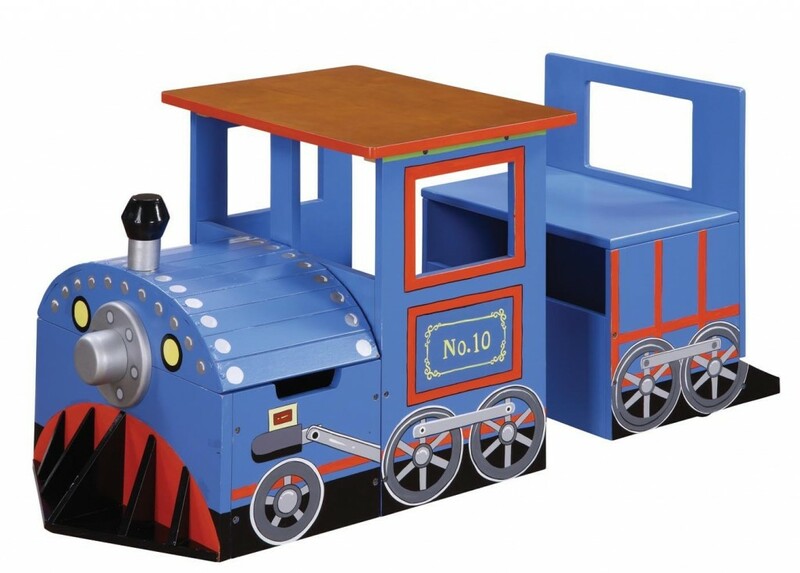 How adorable is this train shaped writing desk for the little ones? What a fun way to get them into the habit of ‘studying’ and reading from a very early age! Perfect to teach them their ABC’s! Great Homework Desk for Kids! This is a great homework desk for children! As you can see it has lots of storage space for all their crayons, pencils, coloring books, markers and everything else they will need to be creative! Having a fun study desk is a wonderful motivator to get kids interested in school and doing their homework! Cute Study Desk for Children! This is a simple but very effective child desk and chair set for sale! As you can se the top is also a chalkboard which kids LOVE! They can practice their writing skills and numbers on it! It is perfect for toddlers, kindergarten and elementary school age kids too! Fun and Colorful Chalkboard Desk and Chair for Kids! Another ultra-fun and very colorful affordable chalkboard desk and chair set for small kids! It has a huge storage space for all their stuff too! Keeps things organized after they are done! Looks awesome in any child’s bedroom! Fits children ages 3 to about 6 years old! Have you ever seen a cuter and more adorable study desk for girls than this Hello Kitty pink desk for sale? It is absolutely perfect for a studious little girl’s bedroom! Fun and Practical Wooden Study Desk for Kids! Another awesome wooden study desk for children! I love the gorgeous walnut finish! As you can see it’s the perfect size for a pre-schooler and elementary school student! Great for them to work on their art projects and homework! This is also a great study desk for elementary school age kids! It is green and white and it is perfect for keeping all their studying materials in one place! Very practical and very cute! Cute Castle Style Child’s Desk! I also loved this cute ‘castle’ desk for kids! Very Stylish Glass Top Teen Boys Blue Desk and Chair Set for Sale! This is a great kids desk that will ‘grow’ with your child until they are in college! It is very stylish and very practical! I love the cool glass top! Cute Pink Study Desk and Chair for Girls! I love this adorable pink study desk for teen girls! Besides being very cute it’s also very compact! It fits a laptop computer, a cute lamp and all her homework stuff! The side shelves are perfect for keeping her books and other school material! 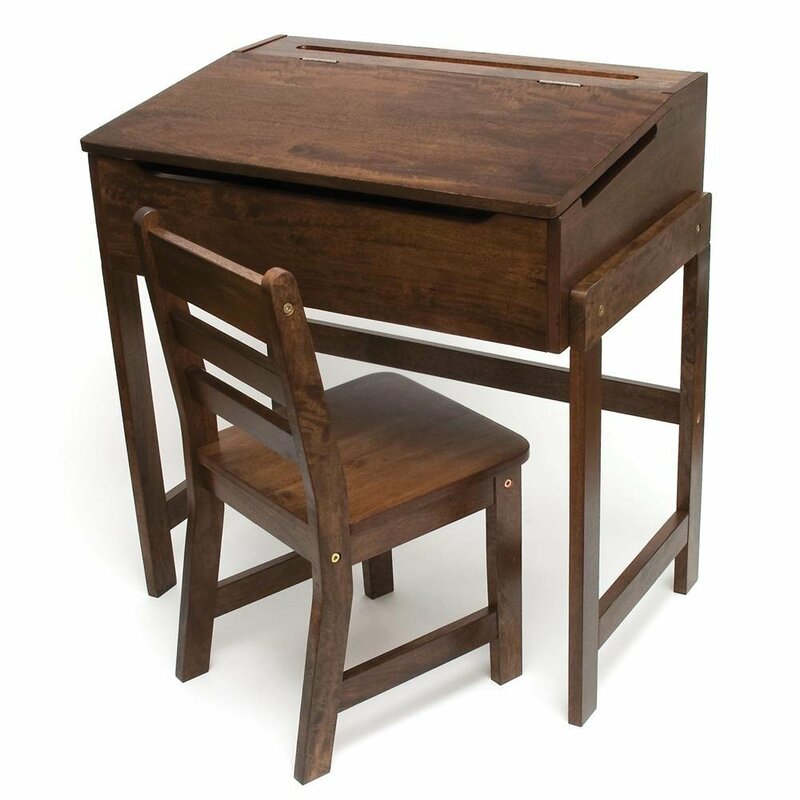 Step2 Deluxe Art Master Desk: The Most Popular Child Desk for Sale! 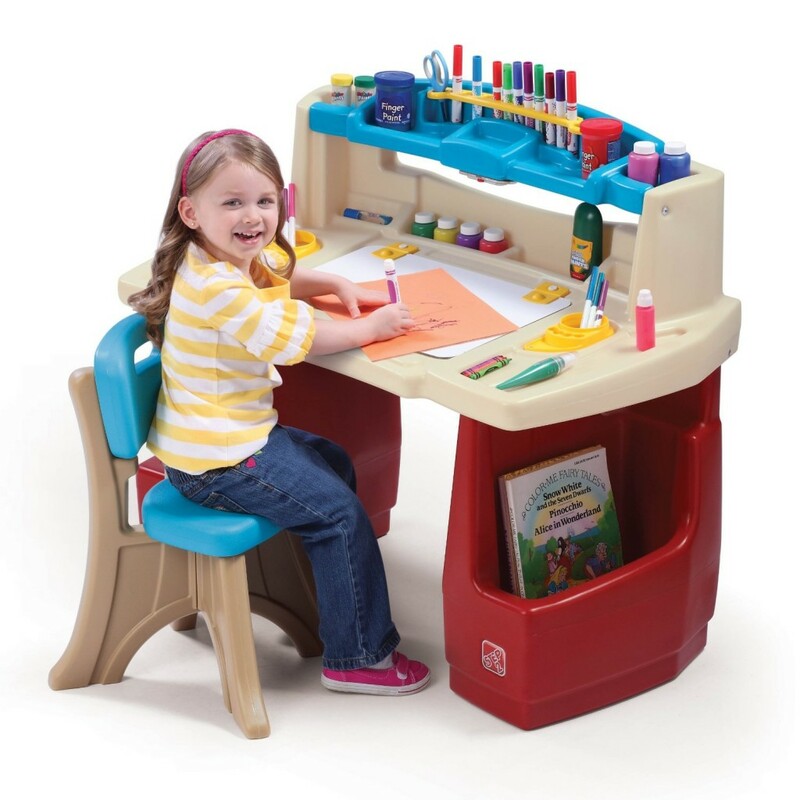 The Step2 Deluxe art desk for kids is among the cutest and most popular child desks being sold! It fits little boys and little girls ages 3 until about 7 years old! *I hope you also enjoyed these cute study desks for kids from here! How about also getting a cute bookcase?